Making an accurate diagnosis early enough is crucial for arthritis patients, but is a very difficult task for undifferentiated arthritis patients. RheumaKit addresses this complex issue, and provides metabolic information supporting therapeutic strategy establishment. Each patient's data are analyzed through an advanced predictive solution to output an early and accurate diagnostic support, as well as metabolic pathways and drug targets analyses. Samples are shipped to our facility with an air-transportation validated packaging (UN3373) via express courier. RheumaKit combines gene expression measurements and clinical data. RheumaKit is a precision medicine toolbox for the management of patients with arthritis. It enables differential diagnosis, treatment guidance, and patient monitoring with RheumaKit-Timeline (for rheumatologist) and RheumaKit for Patients (mobile application). RheumaKit-Dx is a differential diagnosis tool for patients with undifferentiated arthritis. Its main benefits are to detect earlier patients with rheumatoid arthritis, so as to initiate their treatment as early as possible, and on the other hand, to avoid the initiation of a non-adequate treatment for other patients. 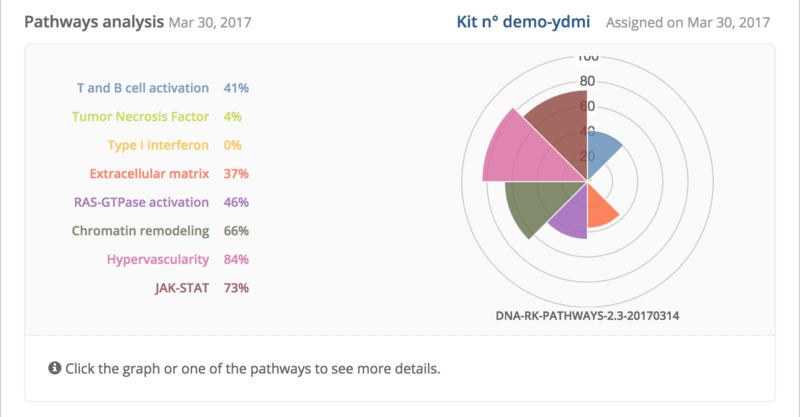 RheumaKit-Dx combines very advanced technologies: a transcriptomic analysis from patient's synovial tissue performed in a central laboratory is combined to clinical information gathered by the clinician, and fed into a predictive model discriminating between Rheumatoid Arthritis, Osteoarthritis and Spondyloarthropathy. The RheumaKit team is also currently developing tools for explicit treatment response prediction in the field of Rheumatoid Arthritis. Among other R&D programs, a multicentric and international clinical study (RKTX01) is ongoing specifically on anti-TNF response prediction. In the meantime, RheumaKit-Dx already delivers a metabolic pathway analysis and a drug target analysis. Both allow the rheumatologist to learn more about a single patient metabolic activity, in specific pathways related to existing treatments or disease activity. These precious pieces of information may guide the establishment of a therapeutic strategy by the rheumatologist. Some of these pathways (TNF, T-Cells and/or B-Cells activation, JAK/STAT) are directly targeted by known biological treatments (Disease Modifying Anti-Rheumatic Drugs, a.k.a. DMARDs) such as Abatacept, Adalimumab, Certolizumab Pegol, Etanercept, Golimumab, Infliximab, Rituximab, Tocilizumab, Tofacitinib, … We thus provide a ranking of the corresponding pathways by decreasing order of activity, for each single patient. The tool as such (RheumaKit-Dx) or in its R&D form (RheumaKit-Tx, not CE-marked) can also be included in pharmaceutical or biotech companies clinical trials regarding biological DMARDs validation, nicely combined to the data mining expertise of DNAlytics, the developer of RheumaKit. RheumaKit-Timeline allows the recording of a broad range of criteria and scores (diagnosis or disease activity) for each patient separately, nicely arranged in a timeline. Treatments informations are logged as well, for an objective, detailed and effective patient follow-up. Two examples are provided below. The first one shows a patient well under control with a working therapeutic strategy based on Methotrexate and Adalimumab, with decreasing levels of both DAS28-CRP and patient fatigue. A positive ACR/EULAR2010 score is visible early in the timeline. The second example reports an objective detection of a patient for which the therapy initially based on Methotrexate and Adalimumab needs to be adapted. A second biological DMARD, Infliximab, is chosen, and does not seem to be a good choice either. Yet another month of follow-up should provide sufficient information for the clinician to change the biological DMARD yet another time. Only a few metrics are reported in these two examples but many more are available. Some are public (i.e. do not require login or registration), as DAS28 (with or without CRP), CDAI, SDAI, HAQ-DI, KOOS and RAPID3 or ACR/EULAR2010. Many more are accessible only after registration and login, as CRP, ACPA, AAN, HLA-B27, pain, fatigue, radiological involvment, and above all: treatment (initiation, modification, termination). 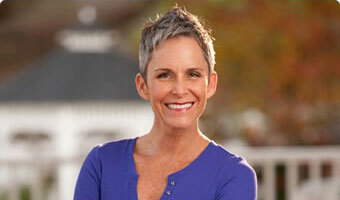 Another possible application of the tool is its use for the implementation of your own clinical study. The general-purpose « Follow-Up visit clinical record form » is available, from which most possible scores are automatically computed and recorded on the patient timeline! RheumaKit-Timeline is in « Beta » version, meaning that it is still subject to evolution in the upcoming months. The good news is that RheumaKit Timeline Beta is at this stage accessible to any user, with or without having purchased RheumaKit products! detect earlier the failure/inefficacy of an ongoing treatment, and thus earlier adaptation of the therapeutic strategy. This adds up naturally to the fact that the user has an objective idea of his/her status with respect to a rheumatic condition and its evolution over time, which in itself is a benefit. The app thus really allows to follow the "treat-to-target" trend. 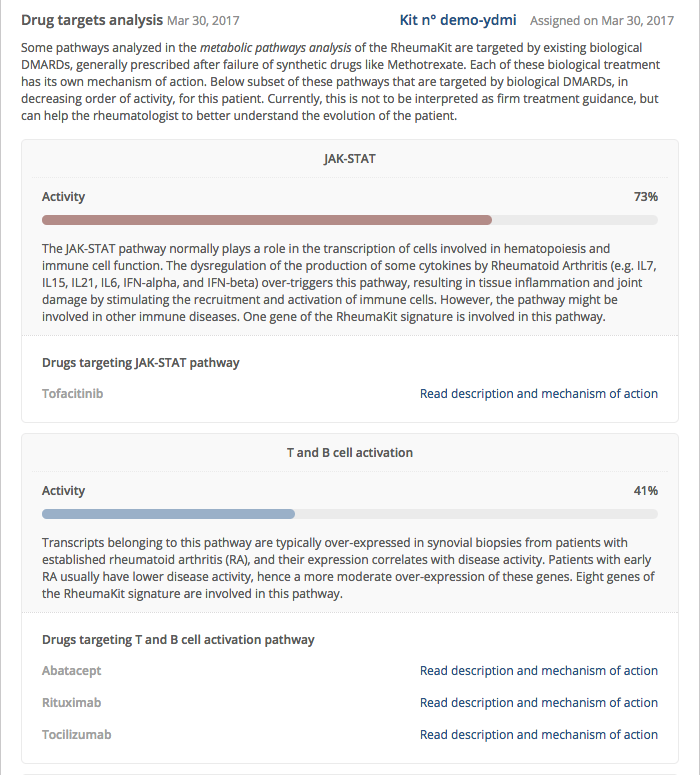 This mobile application can be connected to RheumaKit.com, a web platform for personalized medicine in Rheumatology to be used by the clinicians. 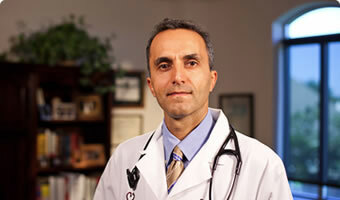 Each clinician can store a much larger collection of information of interest regarding each patient. The types of information that can be managed by the clinicians are related to treatment, to diagnosis or to disease activity and can include biological and even genomic testing. 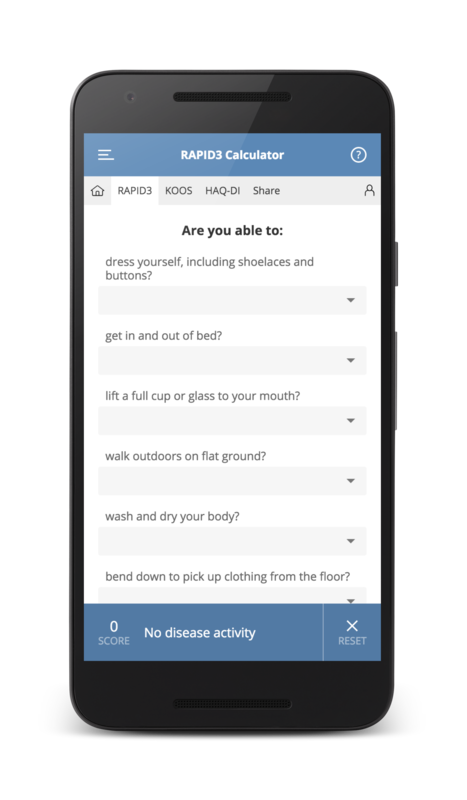 Currently, the mobile application allows the follow-up of the user via three self-reported metrics: the simplified Health Assessment Questionnaire (HAQ-DI), the Routine Assessment of Patient Index Data 3 (RAPID3), recommended by the American College of Rheumatology (ACR), and the Knee Injury and Osteoarthritis Outcome Score (KOOS). These three indices allow for the monitoring of the disease activity.